As Philadelphia Eagles players begin to speak publicly about their Super Bowl season, one theme consistently emerging in interviews is just how much fun the team had during its 16-3 run through the 2017-18 season. 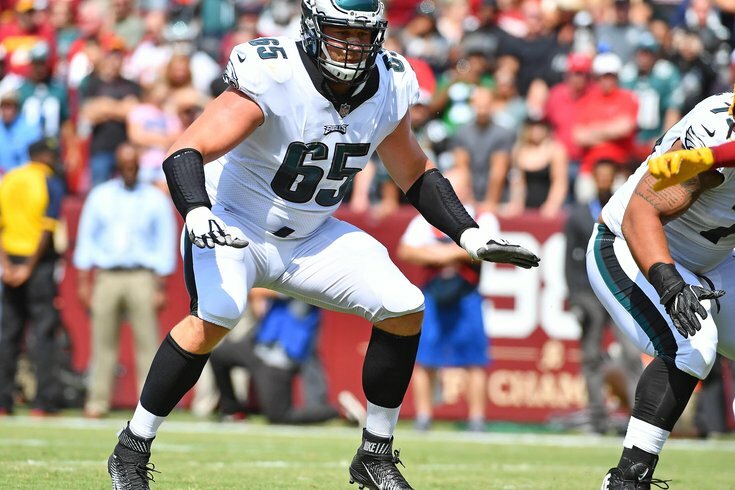 Over the weekend, Eagles left tackle Lane Johnson appeared on Barstool Sports' "Pardon My Take" podcast, where he suggested that the Eagles' victory over the Patriots illustrates a crucial difference in the way the two teams approach the game. "I just think that The Patriot Way is a fear-based organization. Obviously, do they win? Hell yes, they win. They’ve won for a long time. Do I think people enjoy and can say, ‘I had a lot of fun playing there’? No, I don’t. That’s just the God’s honest truth. Are they successful? Well when they go to interviews, they act like f------ robots. Hey, stop being a d---head. We can be cordial for a little bit. You only get to do this job one time, so let’s have fun while we’re doing it. Not to be reckless, but I would much rather have fun and win a Super Bowl than be miserable and win five Super Bowls. But hey, it is what it is." Johnson is hardly the first person to criticize the aura that surrounds Patriots head coach Bill Belichick, whose humorless demeanor has a way of stripping color from the team. Cornerback Malcolm Butler's benching in the Super Bowl is just one example of Belichick's disciplinary model apparently taking precedence over putting the best players on the field. On Monday, former Patriots linebacker and three-time Super Bowl winner Tedy Brushci took exception to Johnson's remarks during an appearance on ESPN's "First Take." "That's a broad stroke he's using right there just to sort of group us all into the same thing right there," Bruschi said. "Lane Johnson, I don't know what he's talking about. I had a lot of fun. There were so many times that we would speak out in meetings. The entire team meeting would erupt in laughter. We're playing music on the team plane ... We had so much fun. In the ones that I was there, I cannot understand what he was saying there." Max Kellerman jumped in to point out that Johnson was referring to Belichick's coaching philosophy and the idea that players would have more fun with players' coaches like Doug Pederson. Bruschi wasn't moved by that. "If you want a relationship and you want to double-date with your coach, go play with those guys. Go ahead," Bruschi said. "If you want to learn how to win games, and consistently win games throughout your career, you play for Bill Belichick." We'll have to see whether Doug Pederson can build a consistent winner without turning into a mirthless Belichick-type. If he can, it will go to show that the "Patriot Way" might have taken more humanity out of the team than was necessary.